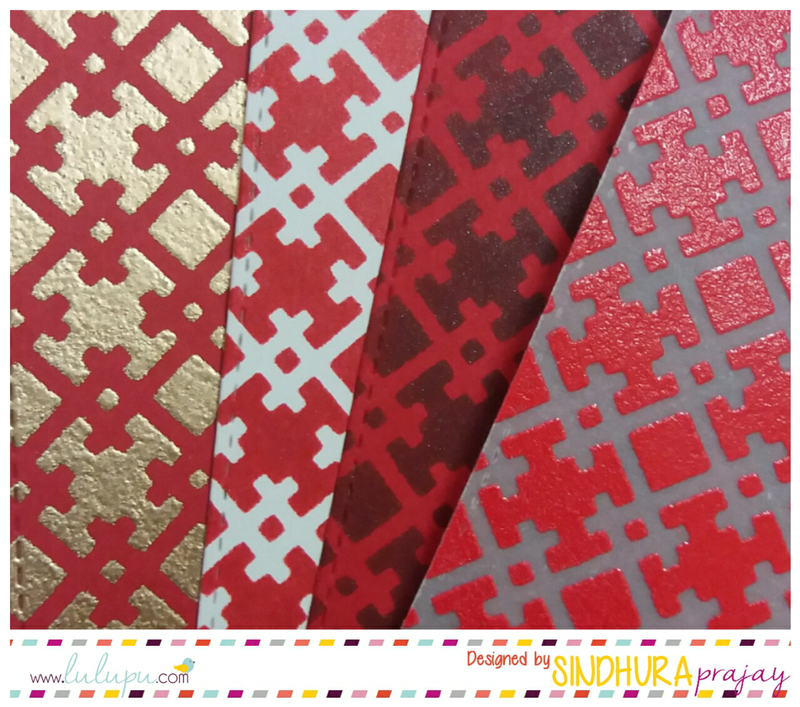 Lulupu - The Craft Lounge: One stencil- four different backgrounds. 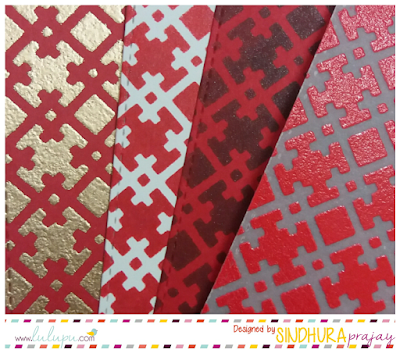 One stencil- four different backgrounds. Sindhura here. Hope you are all doing well. 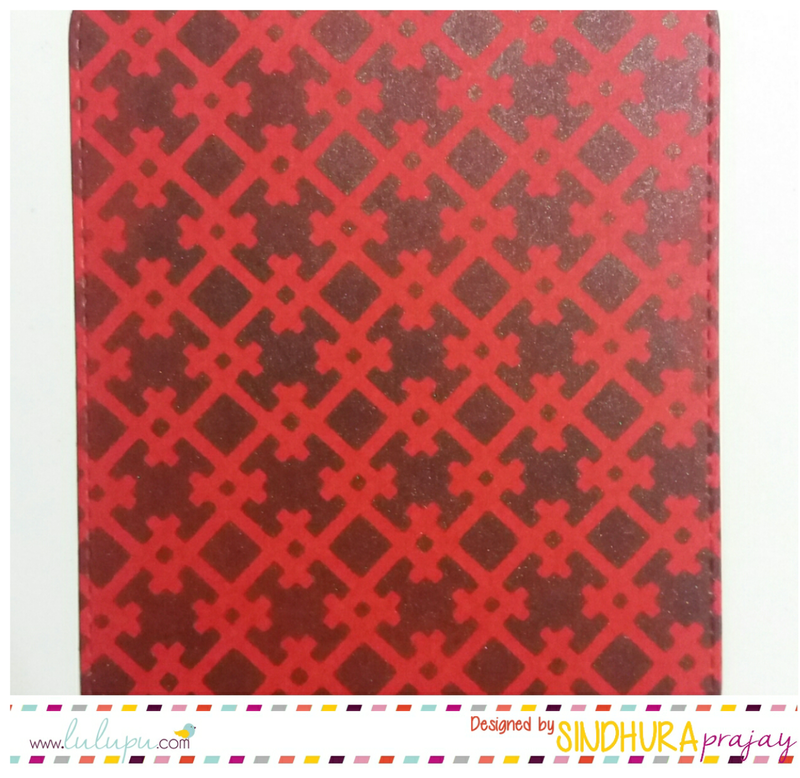 I wanted to show you how one stencil could be used to make 4 completely different looking backgrounds. The first and last are more commonly used. The only difference is the color of the base cardstock. 1. cut a piece of cardstock more than the required size. Thiis lets you to trim of the edges or die cut with nestable dies for a more cleaner look. 2. 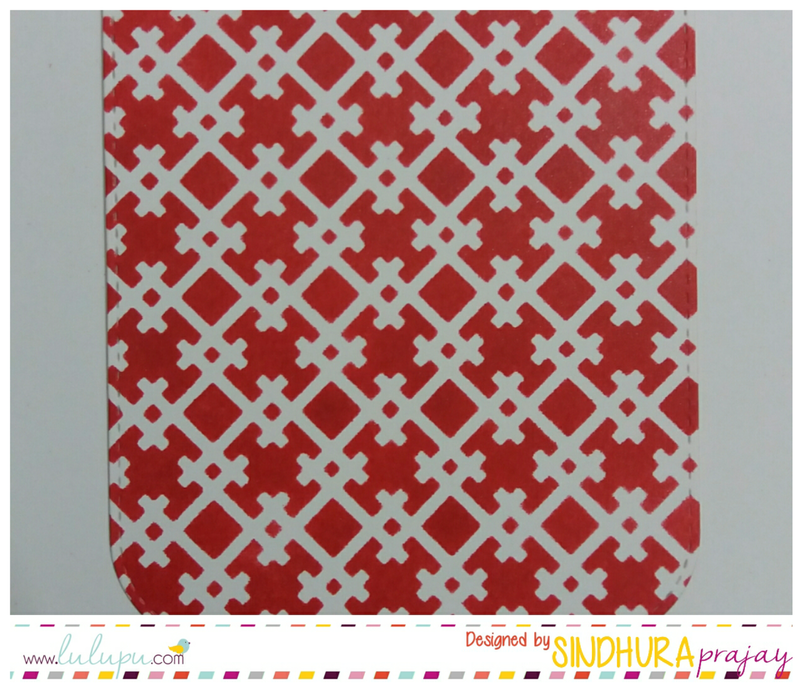 Secure the piece of cardstock and stencil separately with washi tape or any temporary adhesive to make sure that the stencil doesn't move while dabbing ink through it. 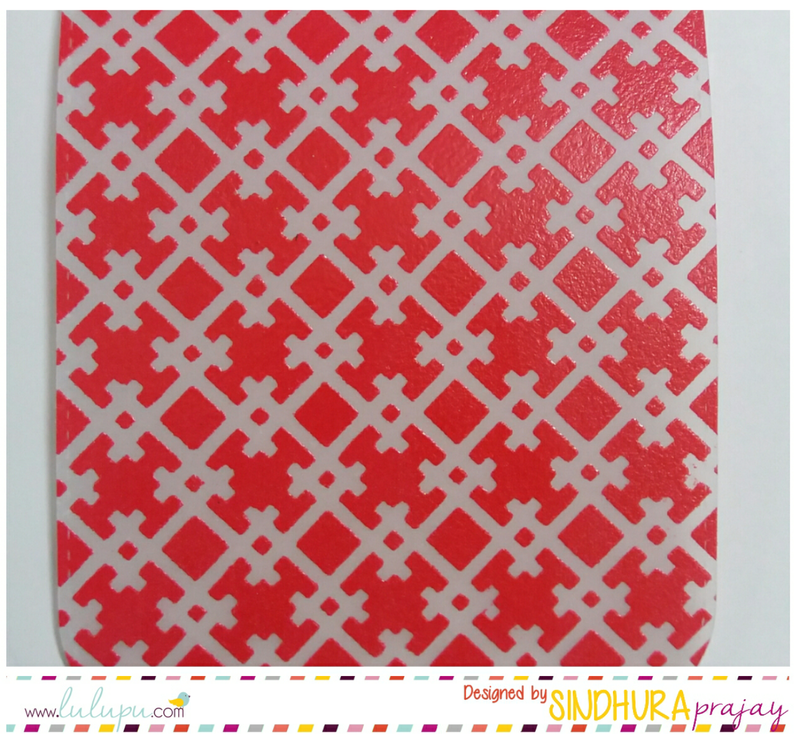 3. select colours of your choice and dab them on the stencil with sponge dauber. 4. Carefully remove the the stencil and wipe the colours off with a wet wipe or under tap water. some inks leave stains on the stencil permanatly which is OK. Once washed they don't transfer the ink the next time you use the stencil. let the stencil dry before you store. For the second and third variations, I followed the following steps. 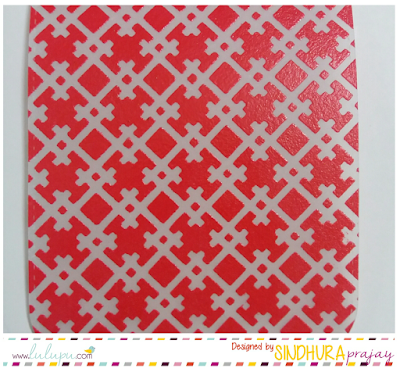 1. brush the cardstock pieces with anti-static powder. 2. cut a piece of cardstock more than the required size. Thiis lets you to trim of the edges or die cut with nestable dies for a more cleaner look. 3. 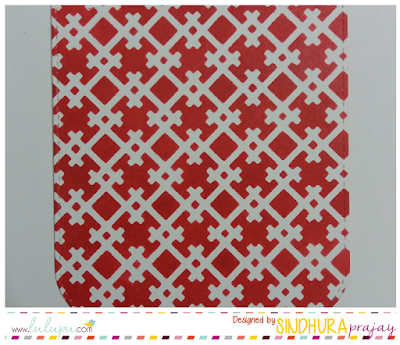 Secure the piece of cardstock and stencil separately with washi tape or any temporary adhesive to make sure that the stencil doesn't move while dabbing ink through it. 4. Dab the versamark ink pad directly on the stencil till you get proper coverage on the area. 4. Carefully remove the the stencil and heat emboss with the embossing powders of your choice. 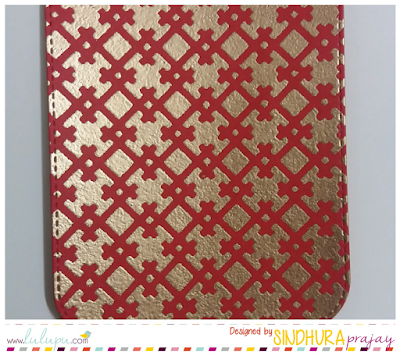 5. wash the stencil immediately with mild soap under tap water. Let the stencil dry before you store. Here is how they look side by side. See how strikingly different they all look. I hope you give these techniques a try. 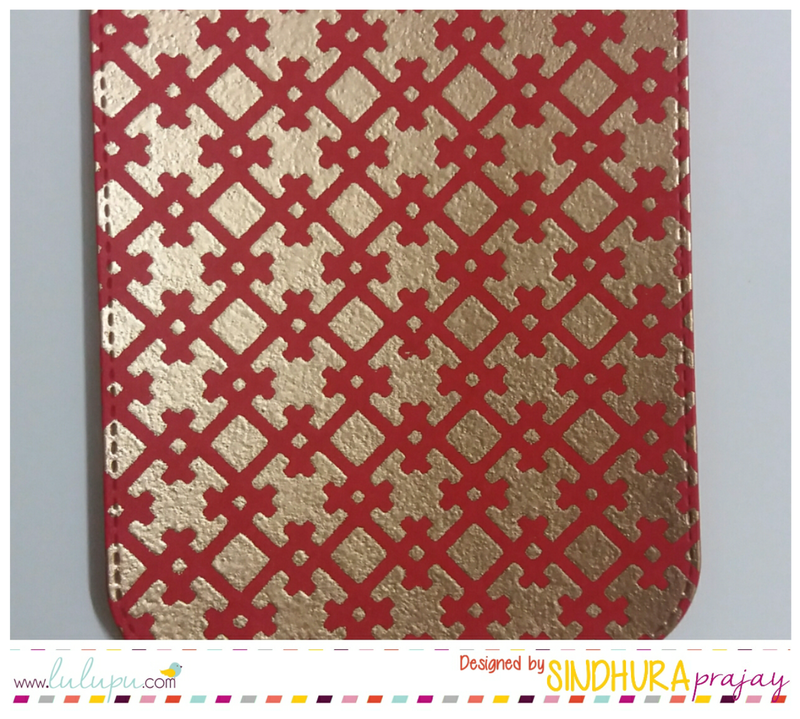 Great ideas to stretch your stencils..
Beautiful ideas Sindhu 😊 I bought the same stencil recently and yet to try!